Jeff Brown created the beloved character of Flat Stanley as a bedtime story for his sons. He has written other outrageous books about the Lambchop family, including Flat Stanley, Stanley and the Magic Lamp, Invisible Stanley, Stanley’s Christmas Adventure, Stanley in Space, and Stanley, Flat Again! 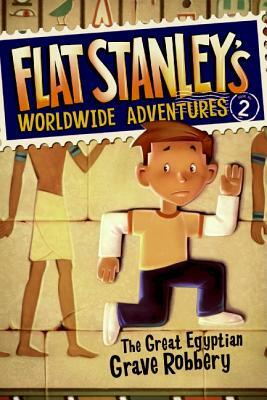 You can learn more about Jeff Brown and Flat Stanley at www.flatstanleybooks.com. Macky Pamintuan is an accomplished artist who lives in the Philippines with his wife, Aymone; their baby girl, Alison; and a West Highland white terrier named Winter.